This is STEP FOUR in my six-part series: STEPS to a Healthier You! You are halfway there! Do you feel healthier? Now that you have added in the good (fruits and veggies) hopefully you have already made advances in pushing out the bad. By bad I mean processed. A large amount of "useless" calories comes from processed foods. Limiting those foods in your diet will leave room for more nutrient-dense, less calorie-dense, foods! How do you know that a food is processed? -- If a food is in a can, box, bottle, or bag. -- It contains one ingredient that is unfamiliar and scientific-sounding. This is not fool-proof but pretty close! 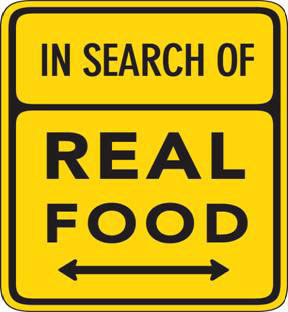 Shopping the perimeter of your grocery store is a good way to start (processed foods are typically found in the aisles)! Eliminating processed foods also includes eliminating FAST foods. Yes, cooking with whole foods and eliminating processed foods is a bit more time-consuming. But you are worth it!! *sigh* I need a house wife/husband to do my shopping and cooking, to save my from my unhealthy tendencies. It sounds so easy to do, but breaking the fat/sugar/salt addictions is a beast. take it one meal at a time. The better decisions will start to add up.